She'll always be your #1 lady. Remind her just how special she is - send a sensational gift she'll never forget. 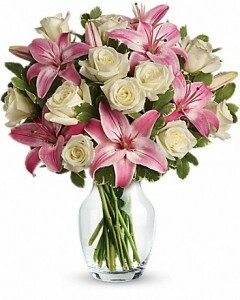 This beautiful bouquet of fragrant pink lilies and lush cream roses is sure to make an impression!